Today’s Job Opening and Labor Turnover Survey from the Bureau of Labor Statistics showed little change to the broad labor market picture. As shown in the charts below, the quit rate is very stable at round 2.2%. 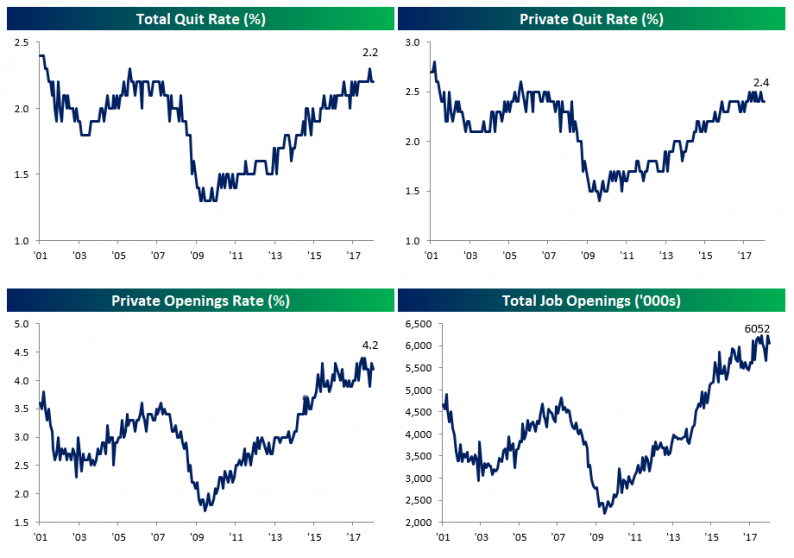 That rate is slightly higher for the private sector at 2.4% but as with the broad quit rate, private quits are basically moving sideways as a percentage of employment. The openings rate is also trending sideways. For the private sector, job openings are running higher than previous expansions at around 4.2%, or 6.05mm positions. Unlike prior expansions, separations are relatively low, at only 3.5%.Part of that lower separations rate is the fact that layoffs are extremely rare at the moment, right at all-time lows (1.2%). 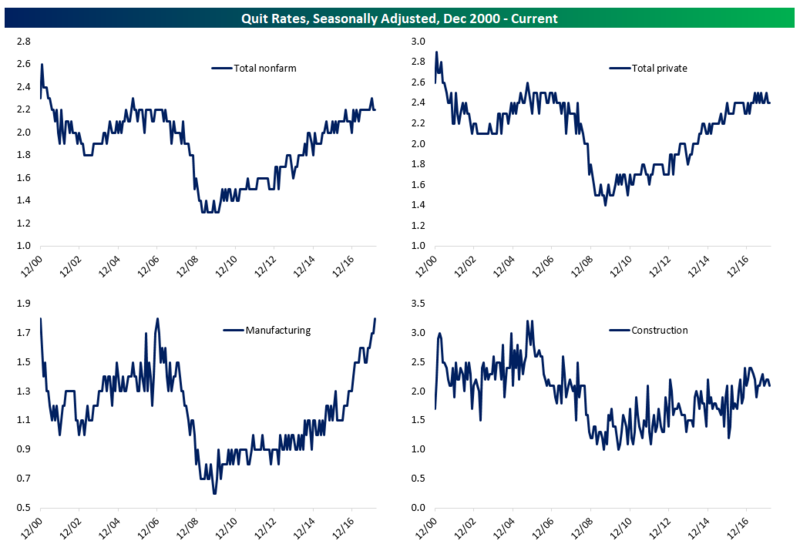 One final interesting tidbit is that the quits rate in the Manufacturing sector continues to surge. It’s at record levels, and continuing to move up, while total nonfarm and total private quits are rising but at a much, much slower pace.